Whether you are looking to create a tropical oasis or add some zen to the ambience of a room, the Aloha Table Lantern is the perfect choice. A wavey silhouette hints at the coastal design influence. 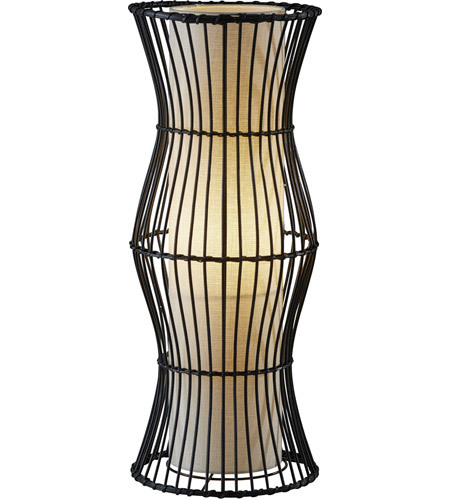 Black rattan makes up the outer frame of the lamp, while a warm, textured beige fabric sits inside of the frame. The two materials work together to create a stunning piece of home decor and functional source of warm, ambient lighting.